You certainly know that staying hydrated is vital to your health, still you keep on forgetting to drink water, don’t you? With this stylish bottle you will not forget. You can easily take it wherever you go, and you can easily flavour your drink as you wish. Our first spring novelty will just come in handy. The time of outdoor activities is coming closer, and no matter whether you are setting off for a trip to the countryside or for a run on your favourite track, take your new companion “by the loop” and go. You are often fully immersed in keeping your diet plan and so you may leave hydration to a side. 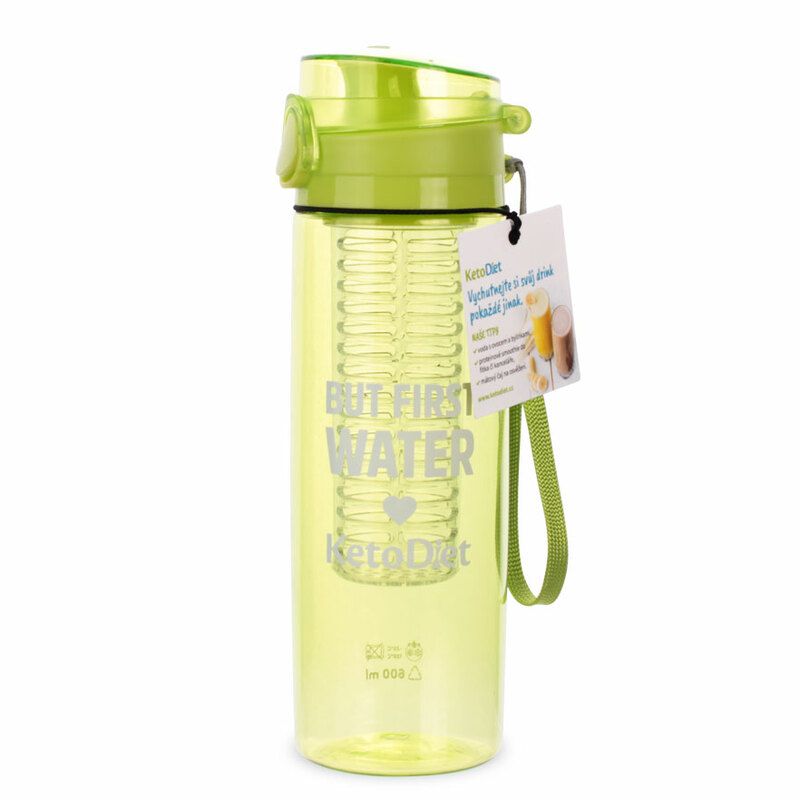 With this new KetoDiet bottle, you will gladly take care of your hydration. The bottle is fitted with a multifunctional removable plastic infuser for herbs, fruit, vegetables and tea so you can prepare an original home-made drink as you wish. And when it’s scorching, just throw some ice cubes into the infuser, the water will stay cold for longer. At the same time, you will also be kind to the environment – finally you will say goodbye to the disposable PET bottles. This high-quality plastic bottle does not contain harmful BPA, and sized 600ml, it easily fits into any handbag or rucksack. And, you don’t have to worry about any spillage. The bottle is fitted with a perfectly safe cap and lock, - so safe that you may not even get in at the beginning (we couldn’t either). 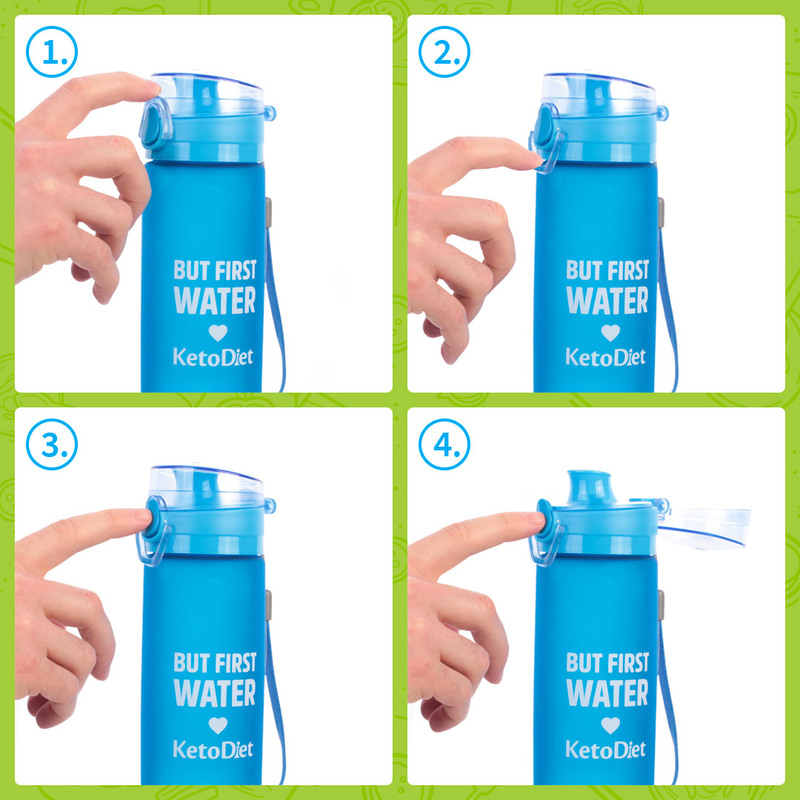 Before pressing the button for opening the bottle, you must lift the catch. See a small demonstration. And last but not least, you can choose your preferred colour. Will the icy blue bottle win over the fresh green one? You decide!